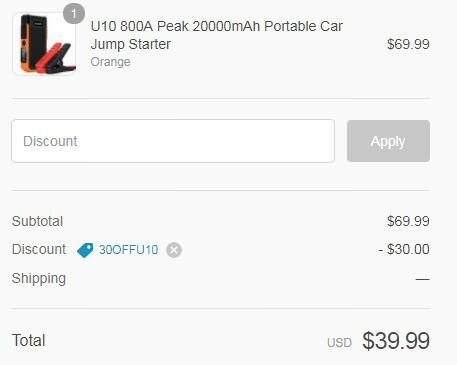 Suaoki has 800A Car Jump Starter on sale for 43% off with the coupon code 30OFFU10. The final price is $39.99. The code is only available for the orange.